Enjoy thousands of full-content newspapers and magazines from over 100 countries worldwide! Treat your guests with elegance, giving them unlimited access on their personal smartphones and tablets to more than 7000 newspapers and magazines with full content, from over 120 countries around the world, newspapers on the same day of his hometown with just one app! Activate your PressReader HotSpot using your existing Wi-Fi connection and invite your guests to read their favourite newspapers and magazines anywhere on your WiFi enabled areas. Hotel PressReader HotSpot is the only apllication that allows your guests with a simple download of the PressReader HotSpot application, choose from thousands of international titles, and read them on their own tablet, smartphone or eReader anytime. 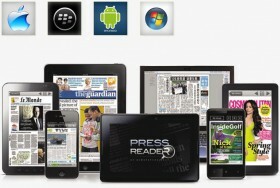 PressReader HotSpot was voted the “Best Newspaper App Ever” for Apple‘s iPad and iPhone in 2012 and 2013 and is pre-installed on millions of Android, BlackBerry and Windows tablets. 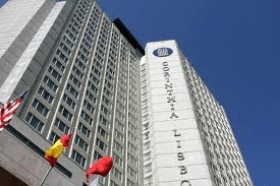 The Corinthia Hotel Lisbon, was the pioneer in Portugal joining the new online digital newspapers service - PressReader, providing all their guests unlimited access to thousands of newspapers and magazines from more than 100 countries. GLOBALNEWSPAPERS launches the new online newspapers service for hotels, which allows their guests access to free and unreservedly 2300 newspapers/magazines from more than 100 countries.